Have you ever wondered why insurance plans usually cover dental cleanings? It's because cleanings work. Regular checkups and cleanings are the top way to prevent cavities and to keep your gums healthy. Schedule your regular cleaning today by booking an appointment online or calling Michael Moawad, DMD, and his team at Dental Arts of Edgewater in Edgewater, New Jersey. First, there's an exam. 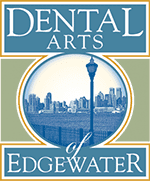 Your Dental Arts of Edgewater professional looks at your teeth, visually inspecting them and assessing your gums, looking for any obvious issues. At this point, you may also be taken for X-rays. After X-rays, the actual cleaning process starts. Dr. Moawad or a hygienist will use a small instrument, called a scaler, to remove tartar and plaque from your teeth. The length of time this process takes depends on how much plaque or tartar buildup you have. Once the plaque and tartar buildup has been scraped off, they use a polishing toothpaste and high-powered toothbrush to give you an intensive brushing. They will also give you a professional flossing. Finally, you may receive a fluoride treatment to support healthy tooth enamel and fight bacteria between office visits. How often your teeth need to be cleaned varies from person to person. Twice a year is the standard recommendation. If you have a history of gum disease or another oral health issue, you may want to have your teeth cleaned more often. The American Dental Association advises working with your dentist to determine the best cleaning schedule for your personal dental needs. Whether you need a quick dental cleaning or a complicated procedure, talking to the professionals at Dental Arts of Edgewater about your personal needs is a critical part of getting outstanding care. Circumstances and situations are different for everyone, especially when it comes to health. Your best approach for dental care is to follow a plan that's designed just for you, not one that's designed for the average person. Can dental cleanings affect other aspects of health? Your overall health is linked to your oral health. Your mouth is connected to your body, making oral health fundamental for good health. The findings of a study published in 2016 suggested that regular dental cleanings could lower the risk of pneumonia. The belief is that dental cleanings cut back on the number of bacteria that enter your lungs. Arthritis, kidney disease, diabetes, and other conditions have also been linked to oral health. Routine dental cleanings, checkups, and maybe most importantly, talking with your dentist, all play a role in maintaining excellent health. If you're due for a dental cleaning, book an appointment online or call Dental Arts of Edgewater today.